As you begin to plan your Las Vegas wedding be sure to look at a few pictures of the chapels around Las Vegas and in the Las Vegas hotels. With so many to choose from it can get confusing but selecting a chapel should not be as hard as selecting the special special person to walk down the aisle with. Get married as you are lavished with elegance. This is high end and very luxurious. The Bellagio Hotel will transform your wedding into the event you have always dreamt of. Imagine the fountains in the background and the music playing as you say I do. All of this as the most exciting city on the planet rushes by on Las Vegas Blvd. down below. The wedding planers at the Bellagio Hotel Las Vegas can make it happen for you. The excitement of Las Vegas is subdued just a bit in order for you to take your vows in this plush wedding chapel at the MGM Grand. They offer many choices for your Las Vegas wedding. The Monte Carlo Las Vegas offers a variety of wedding packages in it's Chapel and the Hotel is a good choice to accommodate most budgets. The Treasure Island Hotel Las Vegas has an elegant chapel thats accented with some classic features as well as a few modern touches that lend to the atmosphere. The chapel holds 60 plus people so you can invite your Aunt that always sent money but that Aunt with the hair growing out of her mole might not make the cut. Is it a little weird to have a pirate themed wedding? Maybe, but you can always have an outdoor wedding with the Sirens Of TI keeping a close eye on you or you can just opt to have pictures taken by the boat out in front of the resort. The wedding planners at the Treasure Island can easily help you with all the small details. Get married in a castle without paying a fortune to fly the entire family to some ancient palace in Europe. The Excalibur handles the entire process and you just write the check and make sure you show up with someone to marry. This is a Las Vegas original, my father took me to the it's original location, where the fashion show mall is now, as a kid in the 70's. My friends seemed to all get married in the chapel when it was near the Hacienda hotel in the 90's and now it is across the street from the Mandalay Bay hotel. Getting married in the Little Church of the West is real Las Vegas. Looking for a modern looking chapel for your Las Vegas wedding. The Mandalay Bay has what you need in THE Chapel at the Mandalay Bay Hotel. Get married in a gondola or in a plaza or on a nice bridge over looking a canal. A wedding at the Venetian Las Vegas will truly be an event. 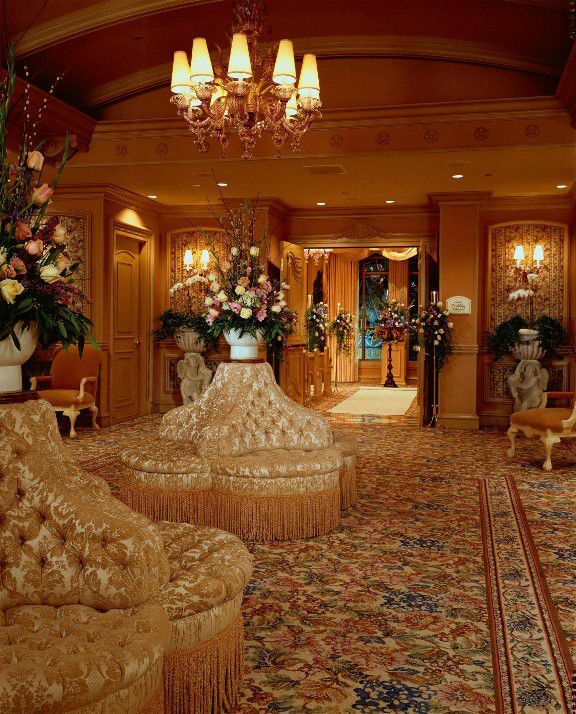 Check out their website and get a good idea of what wedding ceremonies at the Venetian Hotel are going to look like. I have a couple of brothers who took the plunge at the Candlelight Chapel and they turned out fine. Well, they still have to pick up their socks and take out the trash but I think that happens regardless of where you get married. This chapel is right on the strip as you can see from the picture but it is a nice chapel. Does this look like the place you want to have lasting memories of? The Chapel of Love on Las Vegas Blvd. can marry you for $49 so it is a bargain. I believe they still offer drive through services. As you can see I would rather drive right by this Chapel because it does not do it for me, but a buddy of mine loves it and i respect his opinion. They offer everything that most Las Vegas Chapels do they are reasonably priced.